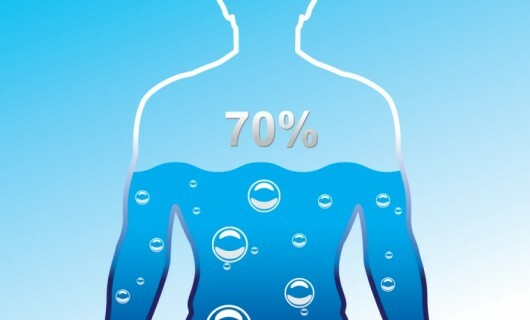 Water makes up about 60% of your body, 75% in your muscles, and 85% in your brain. Water is essential for almost all of your bodily functions, especially brain function. So, it shouldn’t be a surprise that being dehydrated can have very serious neurological effects and disrupt cognitive functioning. Research would suggest that dehydration is one of the biggest drains on productivity in the workforce today (Briffa 2014). When we are dehydrated it slows down our metabolism, energy levels, causes fatigue, constipation, ‘brain fog’, and increases our appetite. In addition, as water is a major constituent of the blood, dehydration puts increased pressure on the heart by lowering blood volume and therefore pressure which can cause dizziness, headaches, and cause rapid heart rate. A study in the Journal of Nutrition by Armstrong in 2012 also showed that individuals suffering from at least 1% dehydration saw deficits in vigilance and working memory, and increase in feelings of tension, anxiety, stress and fatigue; symptoms which neither contribute to productivity nor engagement. The problem is, by the time we are thirsty we are probably around 1-2% dehydrated already. And when the headaches set in, the solution? Yes, you guessed it. We reach for the paracetamol rather than the tap… More often than not our body is giving us vital information we need to hydrate and we ignore it. Because of the vital role water plays in our body, when we are properly hydrated it helps us thrive physically, mentally and emotionally. Everyone is different. We are different weights, have different activity levels, work in different humidity environments and have different metabolism. So how do we know if we are getting enough? Back to our amazing body. Simply put the colour of your urine is a great indicator for whether or not you are hydrated – if it’s the colour of straw or dark yellow/ orange then you are dehydrated. If it’s the colour of light straw (or Chardonnay) you’re doing OK! Make sure you are hydrating before exercise as well as after. This will also improve performance.